Its many achievements include new equipment such as buoys, boats, chains and electronic tablets for processing the surveillance information of the Natural Protected Areas; more and better trained personnel; better coordination between the authorities, businesses and civil organizations; and an increase in environmental awareness. Thirteen months of work by the Paralelo 28 initiative and its Se buscan héroes (Looking For Heroes) campaign have generated excellent results. 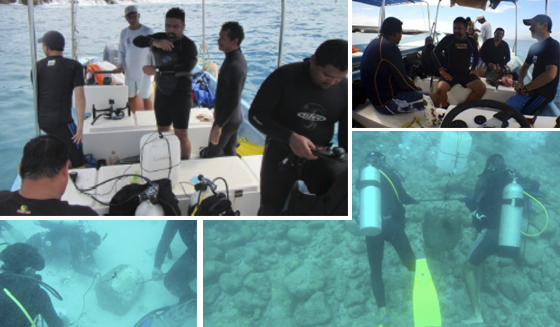 A year and a month ago, four civil organizations specialized in environmental conservation came together to meet with the authorities, companies, tourists and tourism service providers to cooperate on strengthening the facilities of the Natural Protected Areas (NPA) in places such as the Islas Marietas, Cabo Pulmo, Bahía de Loreto, Bahía de Los Ángeles and Bahía de La Paz. The results are proof that it’s possible to institute order and respect for current laws and that following the rules is key for the protection and conservation of Mexico’s natural treasures. Pronatura Noroeste A.C., Red de Observadores Ciudadanos-La Paz A.C., Ecoalianza de Loreto A.C and the Sociedad de Historia Natural Niparajá A.C, which make up Paralelo 28, together with the support of the Mexican Fund for Nature Conservancy, the Carlos Slim Foundation, the Riviera Nayarit Convention and Visitors Bureau, Itaca Films, the Ontwice México agency, Bahía Unida A.C. and an enormous number of participating companies are keeping the Se buscan héroes campaign fund-raising alive. This allows the Paralelo 28 member organizations to function, as they are the ones that design and implement the conservation strategies of the NPAs. The acceptance of the Se buscan héroes campaign has been such a success that in 2017 it’s already gaining strength not only in Nayarit, where the different sectors are already excellent examples of conservation in pro of Las Islas Marietas, but also in important areas in Baja California Sur such as Cabo Pulmo, Loreto and Bahía de La Paz, where it has been implemented as well. Over 100 tourism service provider companies under the Bahía Unida civil association have become involved in this conservation initiative, channeling resources in order to better equip the security personnel, enable rounds and create reports periodically that will show how the operating rules in place at the NPA are being followed. 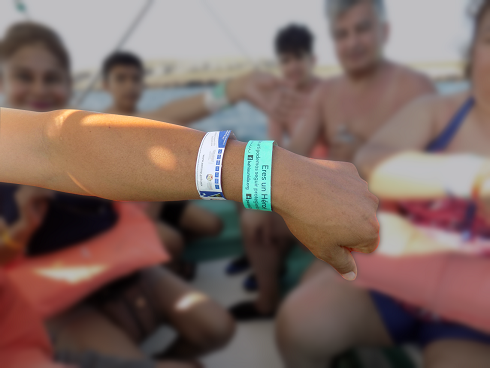 To date, nearly 40 thousand tourists from Puerto Vallarta and the Riviera Nayarit have cooperated with the conservation of the Islas Marietas, visiting the islands via companies that are committed to the sustainability of the destination and wearing special wristbands that identifies them as responsible tourists. For more information visit the Paralelo 28 social media sites and their webpage at www.paralelo28.org.